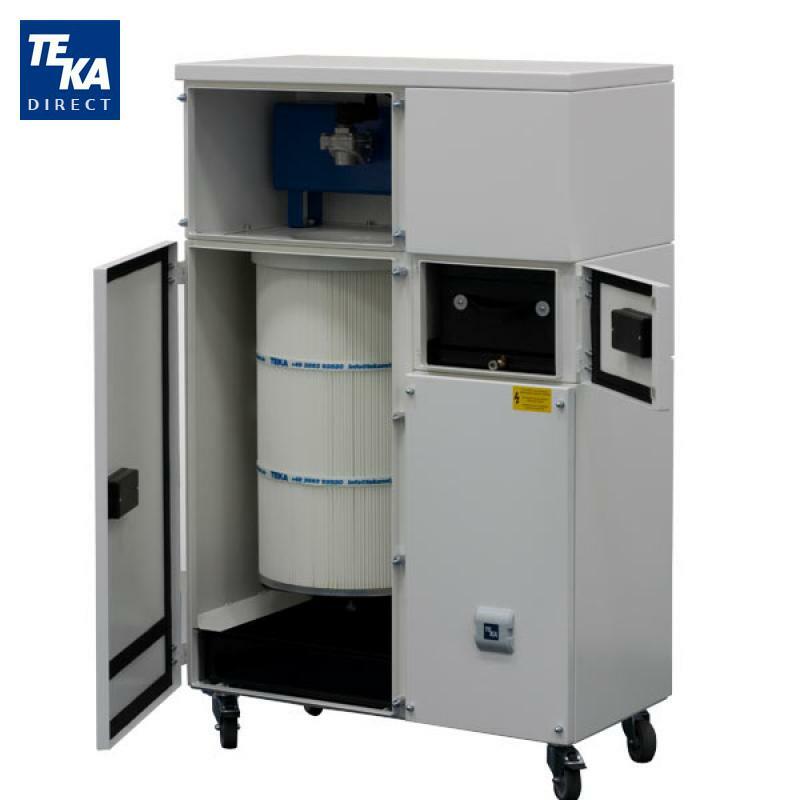 The LFE 101 is a mobile mid vacuum cartridge filter unit designed for laser applications that produce high quantities of dust and particles. 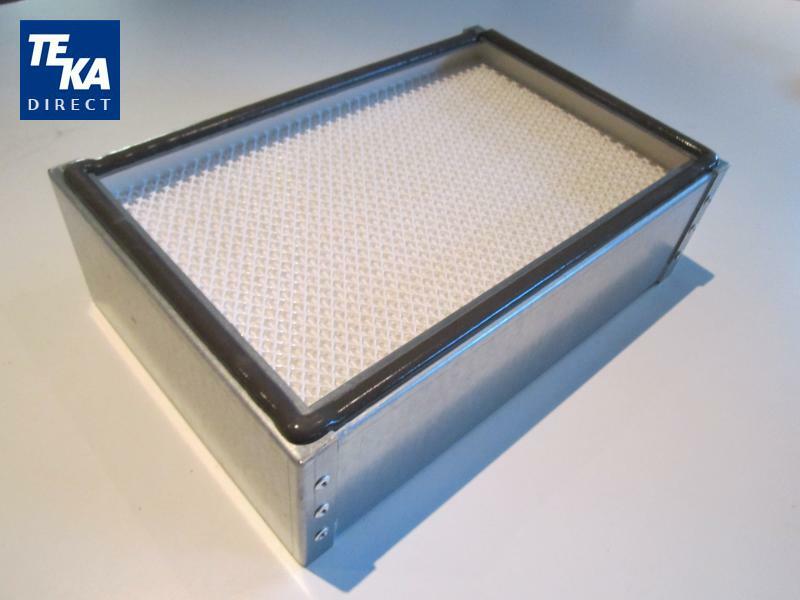 Fumes and particles are drawn through an aluminum pre-filter that distributes them evenly over a large surface area cartridge filter. 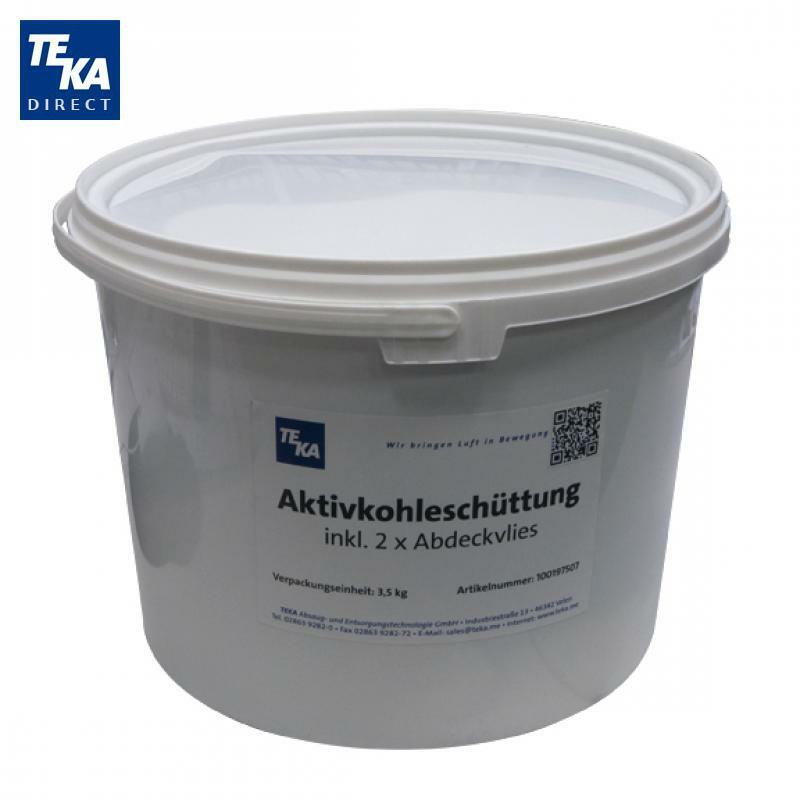 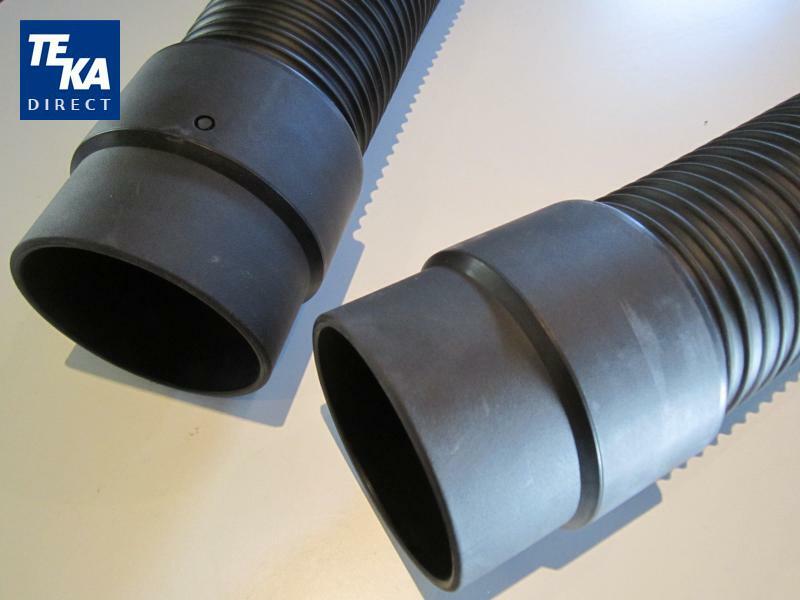 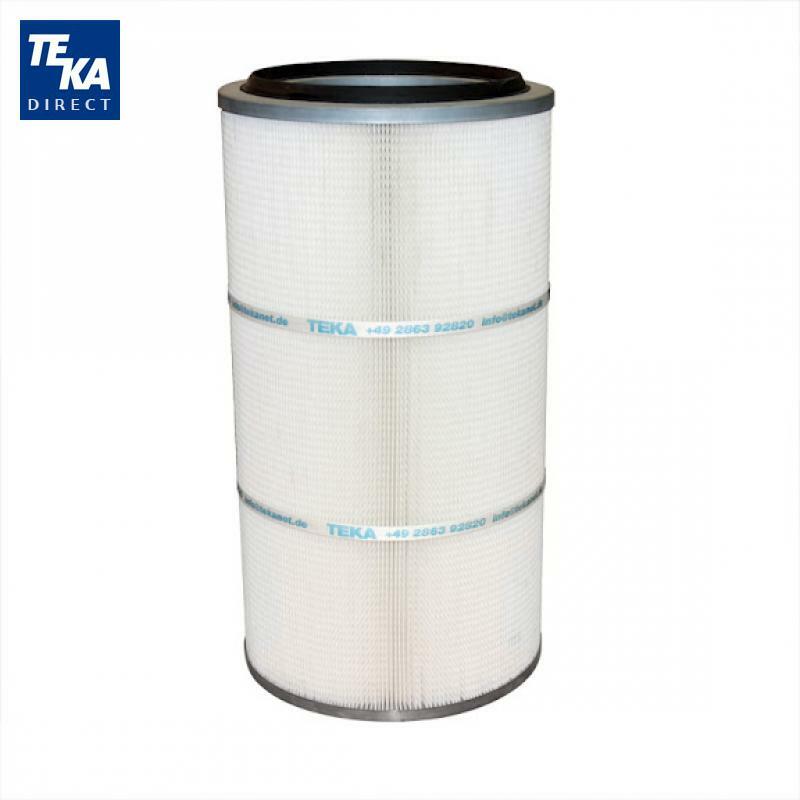 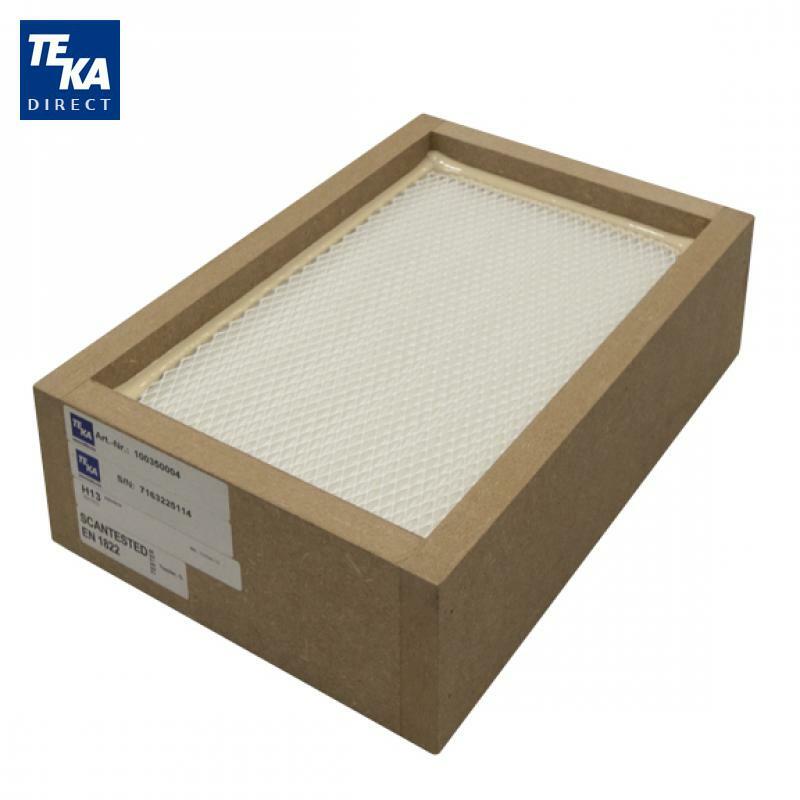 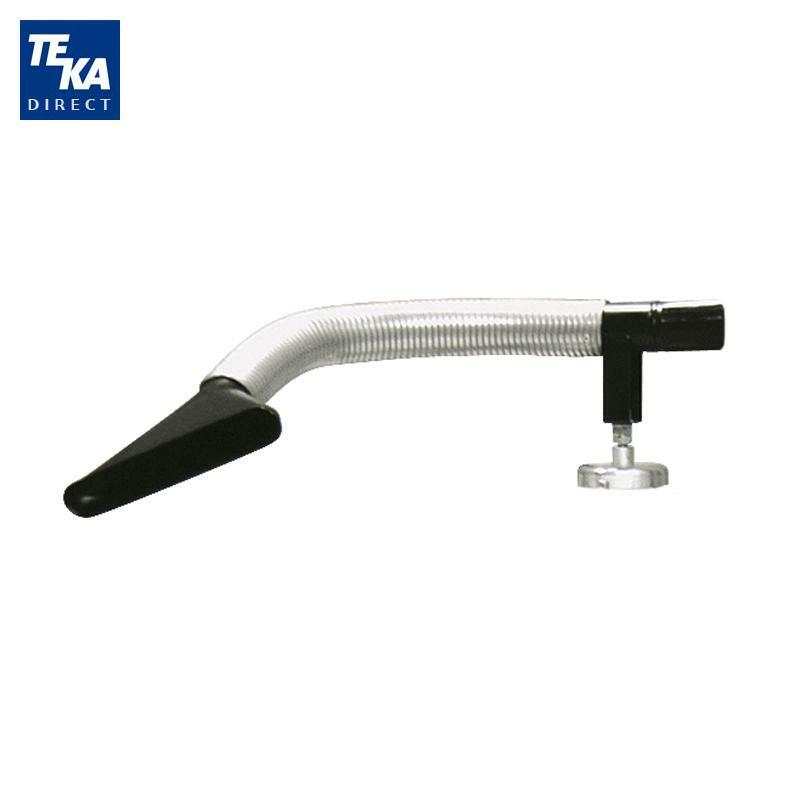 The cartridge filter is coated with a special precoat powder that protects the filter fabric. 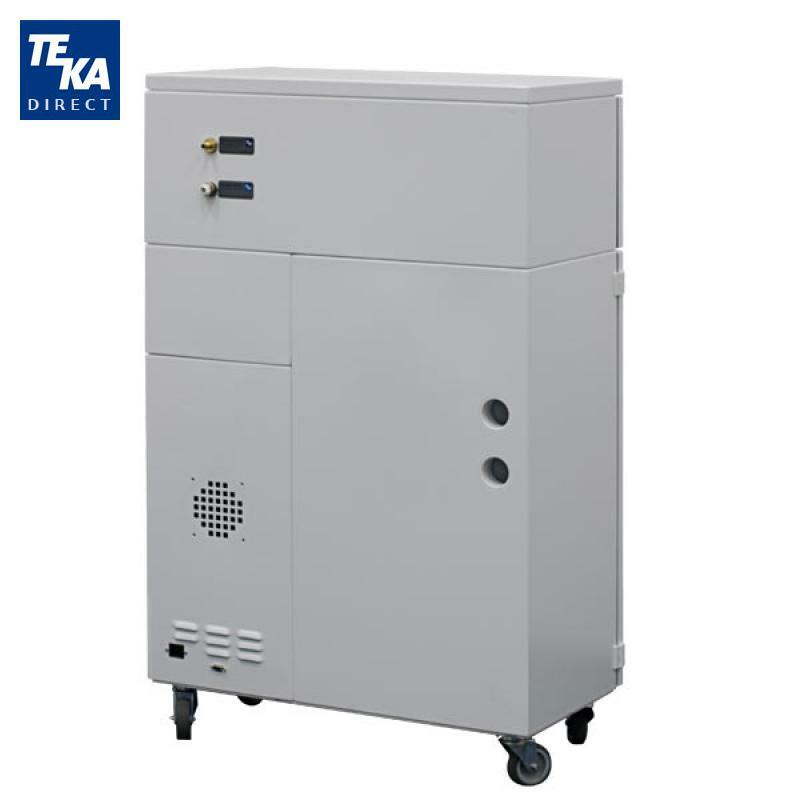 2 gallon dust collection bin. 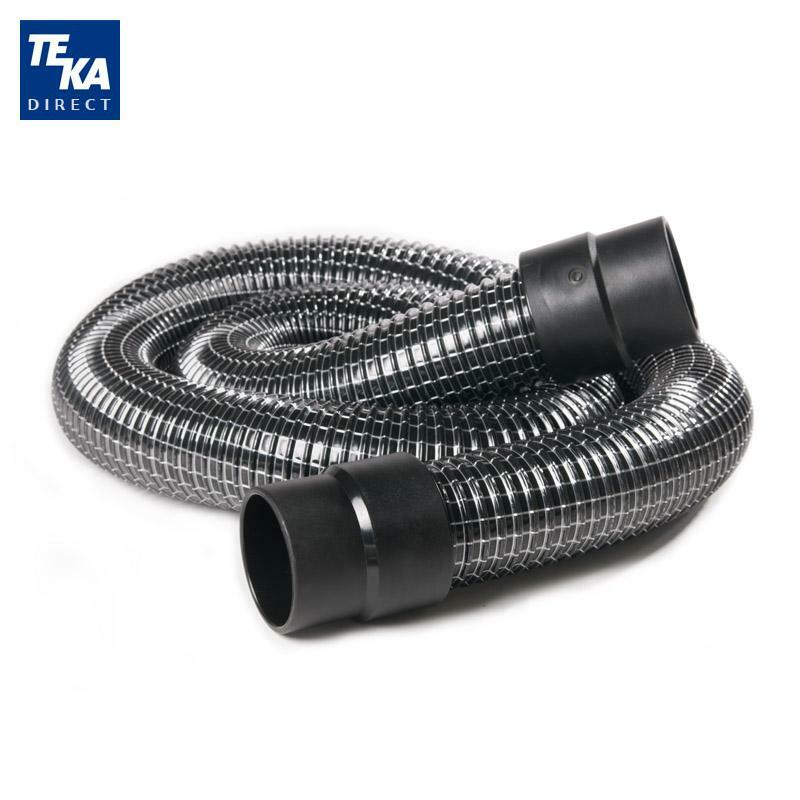 An activated carbon filter removes any remaining fumes and gases. 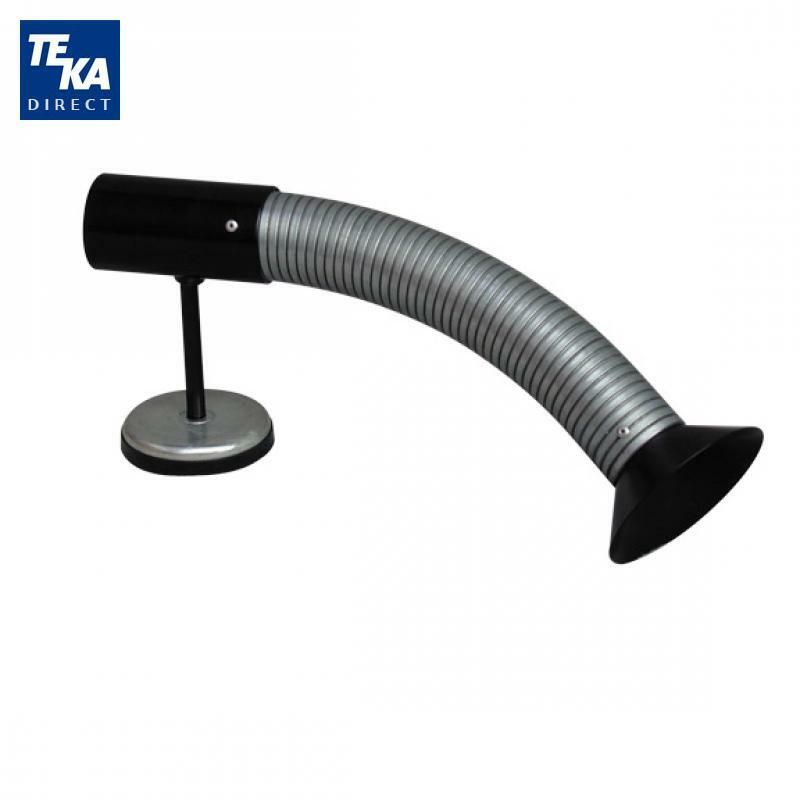 The turbine?s suction can be adjusted by remote control. 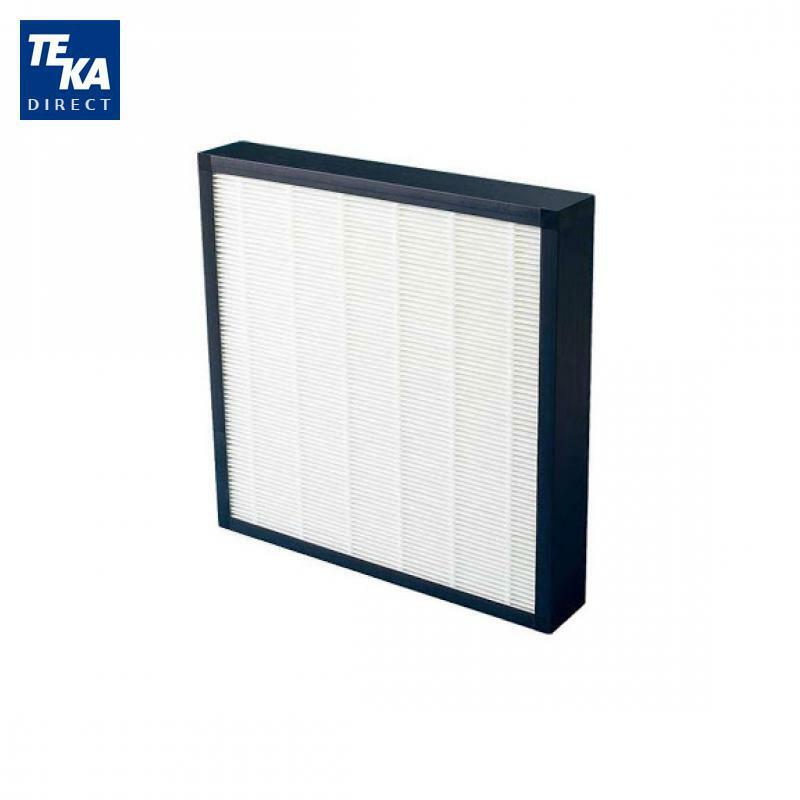 A digital display on the remote control shows the condition of the filter. 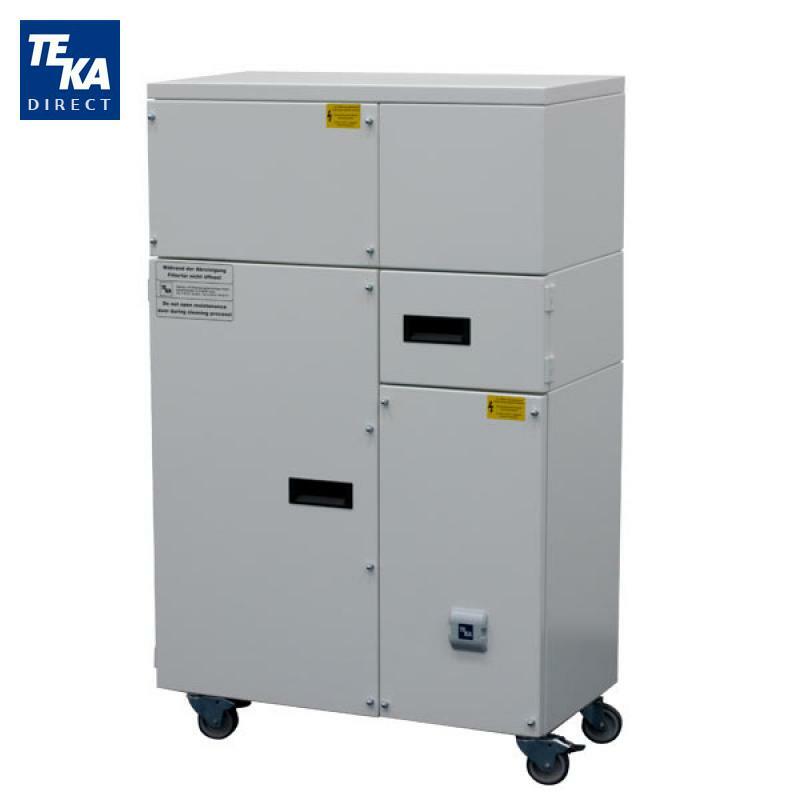 A SUB D9 interface makes it possible for a laser system to activate the filter unit. 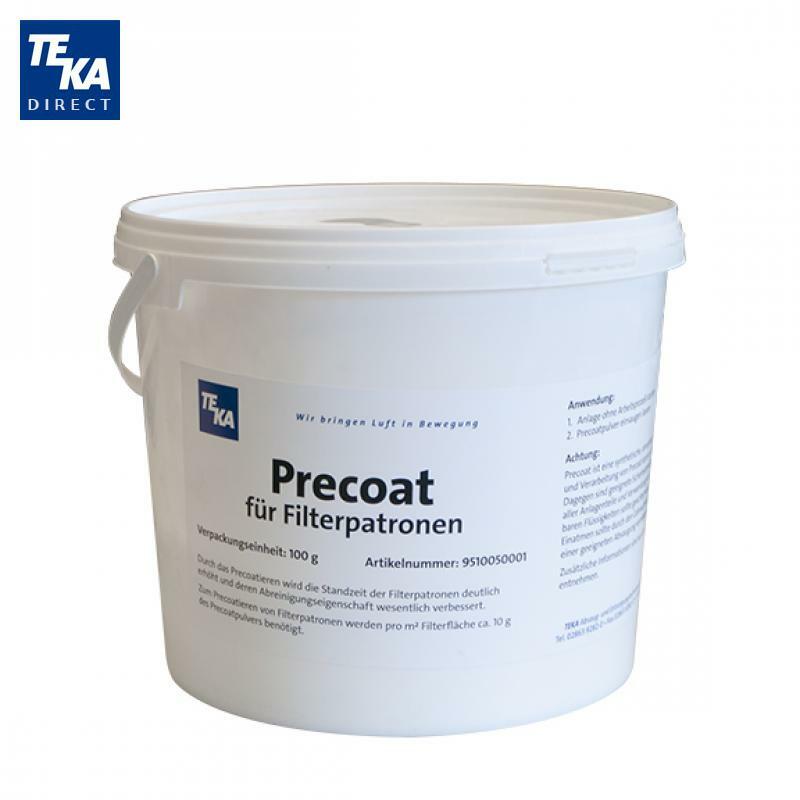 An automated Precoat Dispenser is available for laser applications that produce sticky fumes, such as the processing of plastic, wood, and laminates.